Unique voice features for improved collaboration and productivity. Since our founding in 2006, we’ve learned a great deal about Hybrid Cloud Communications Solutions and how to make voice features work harder and smarter for you. Star2Star’s award-winning unified communications technology employs our unique Hybrid Architecture™ that overcomes the reliability and quality limitations of other Internet communications technologies. In fact, we’ve achieved 100% network uptime since 2011. Star2Star Internet communication systems are installed in thousands of businesses, including large national retail and restaurant chains. 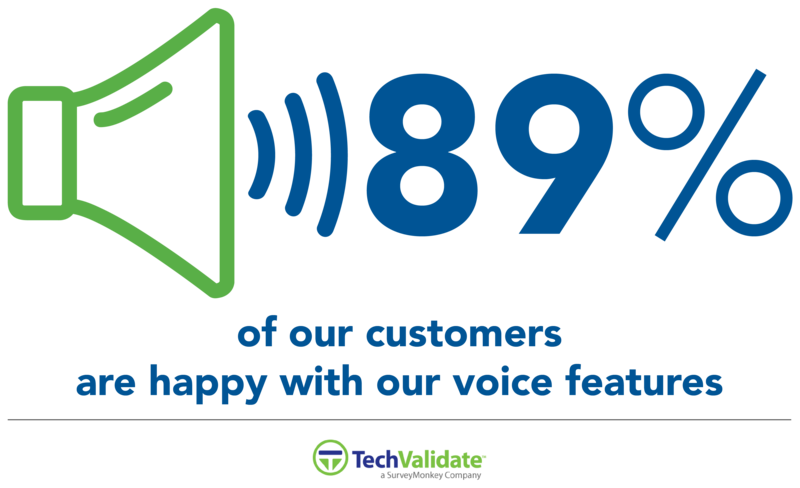 Here’s a breakdown of the voice features our unified communications technology offers that can enhance your business. We supply the phones and related equipment as well as the telephone service and maintenance. Everything is designed to work together, and our around-the-clock system monitoring makes sure that it does. Our exclusive technology combines the best aspects of cloud-based and on-premise systems. The StarBox® Voice Optimized SD-WAN manages the traffic flow between your Star2Star phone system and Internet connection to provide the highest possible call quality with no delay, echo, or distortion. No expensive conditioned circuits are needed. Never miss a call again. Incoming calls can ring your home, office, and cell phones, either one at a time or all at once. All of your company’s phones - at the main office, satellite offices, home office workers, and even mobile phones - appear and operate as a single, unified system. Everyone is reachable by dialing their extension number, no matter where they happen to be. Call transfers, ring groups, call queues, automated attendants, and shared operator features operate across all locations. Set up “Meet Me” Conference Rooms for quick, easy, and secure conference calls for up to 150 users. Talk as long as you like - there’s no per-minute charge. You can quickly create multi-level automated attendant menus which allow callers to choose from any number of destinations or locations. Extensions can be individually configured to allow or restrict certain activities such as outbound calling, international calling, or directory assistance. Store as many voicemail messages as you like, for as long as you like. Users can easily set up their own speed dial, call forwarding, Find Me - Follow Me, and voicemail options from any web browser. Page to individual extensions, groups of extensions, or overhead speakers. Easily create and broadcast recorded messages to voicemail groups like Sales, Service, Accounting, and et cetera. Share a single bundle of virtual call pathways between all locations to cut down on the total number of lines you need and must pay for. If all your lines are in use and you get another incoming call, we can add an extra line “on the fly” so you’ll never miss a call. Subscribe to only as many lines as you need for normal business operations, without having to pay for excess capacity that you only need a few days a year. Our monthly rates include all the extras that our competitors charge for - like conferencing, voicemail, ring groups, automated attendants, and more. Ring groups can include users in multiple locations, including remote and home offices. Route incoming calls to specific extensions, menus, ring groups, queues, or conference calls. Each department can have its own phone number. Transfer calls to other extensions, ring groups, or voicemail at any location, and even to cell phones. Allows a user to park an incoming call and then intercom or page multiple phones to announce the call for pickup. This is especially helpful for small offices used to working with a “square key” system. Voice messages can be delivered to your email address as an attachment, with a reminder notification sent to your cell phone. Prioritization of voice on the data network eliminates jitter, echo, and latency. The StarBox® Voice Optimized SD-WAN is a 100% solid-state platform with no moving parts. We will replace any broken component, including phones, within 24 hours. Our International rates are highly competitive. For example, calls to the UK, France, and Germany are as low as $.04 per minute. Complete flexibility for customers to establish advanced call routing rules throughout each day of the week coupled with the ability to optionally apply holiday rules to those schedules. Connect your legacy analog phones, overhead paging system, cordless phones, or door phones to your Star2Star system. Customize your on-hold music and prompts with downloaded music, professionally recorded prompts, or your own custom messages or music. Soft Phone extensions for laptops and personal computers provide users with mobility and flexibility. Support remote telecommuter or “road warrior” extensions over home DSL or Cable connections. Click-to-dial phone numbers from your Outlook Contacts directory.